Oakland Raiders Get A Kluwe! - Raiders Sign LGBT Ally and Advocate Chris Kluwe! BOOYAH! Home/Featured/Oakland Raiders Get A Kluwe! 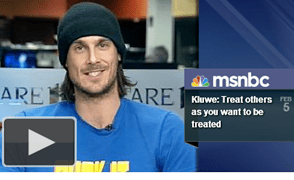 – Raiders Sign LGBT Ally and Advocate Chris Kluwe! BOOYAH! Oakland Raiders Get A Kluwe! – Raiders Sign LGBT Ally and Advocate Chris Kluwe! BOOYAH! “Chris Kluwe, who was released by the Minnesota Vikings on May 6, will step in for Pro Bowler Shane Lechler, who left Oakland for the Houston Texans via free agency. Kluwe’s contract is for one year, and is for the league minimum. …Kluwe is known for his mind and mouth, as well as his leg. He is a vocal advocate of equality in sports (and life), and says he will continue to speak for what he believes. “I’m still going to be myself socially and continue to tweet and interact with my fans,” Kluwe said. Congrats to Oakland for picking up Chris! The Oakland Raiders got a Kluwe and the Minnesota Vikings get a lot of pissed off fans.